Transport for London stated today that the Barclays Cycle Hire customers have cycled to the moon and back 13 times in the first 6 months of operation. That’s over 2.5 million journeys at over 10,000,000km cycled. The busiest day for the scheme saw more than 27,500 journeys, covering more than 124,000km. There are nearly 110,000 registered users and ‘casual’ users have purchased over 28,000 access periods in just 8 weeks. Plans for extending the scheme have been announced, this will see the blue bikes heading into and out of; Tower Hamlets, Hackney, Bethnal Green, Bow, Canary Wharf, Mile End and Poplar. 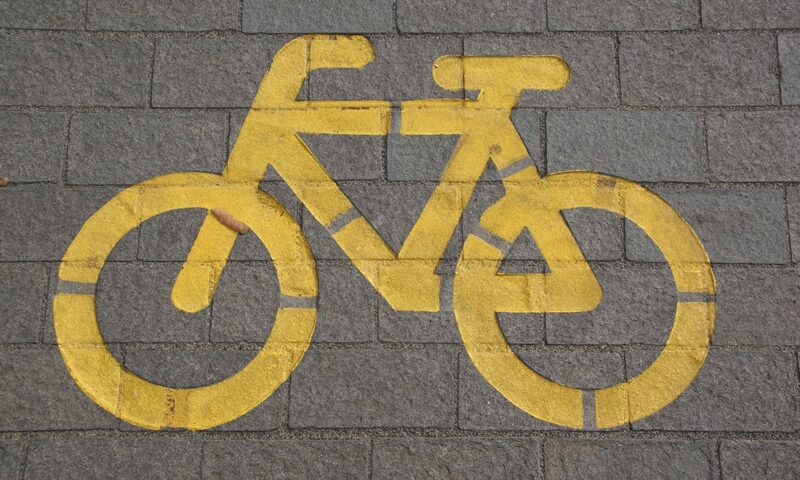 This expansion will included 2,000 bikes and 4,200 docking points across new and old areas. These added station should be up and running in 2012. I’ve been trying to compare the Barclays Cycle Hire scheme to others across the world, but it seems very hard to come up with figures of usage at a similar time to what TFL have produced. This is especially hard when trying to compare it to the Vélib’ scheme in Paris, mainly because my french is poor. Parlez-vous anglais? I got some vague stats for both the Vélib’ and the bixi scheme which run in Paris and Montreal. In the first year the Vélib’ scheme logged 20,000,000 journeys with an average of 70,000 a day. Where as the Bixi scheme logged only just over 1,000,000 journeys. The thing to remember here is that the Vélib scheme is bigger than ours. 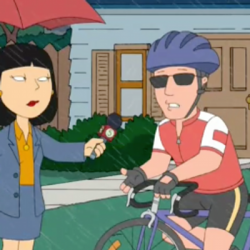 And the bixi scheme has the same number of docks as us but we have more bikes. I think the Cycle Hire scheme is clearly working, people are using it and the image of them on the street will only draw more people into cycling, which is a bonus. But Boris needs to address some issues, and that’s the lack of free spaces to dock. I still find that I can go to several docking points in the middle of the day and not be able to park. That is the most frustrating part of using the scheme. He should also look at how we can improve cycling as a whole in London. Making London a friendlier place to cycle, reducing the traffic, reducing traffic speed, more cycling specific routes. These will all aid cycling in London on a whole and increase the uptake of the cycle hire scheme. And not do things like reducing the congestion charge zone, that was one great thing that saw cycling improve massively in central London. 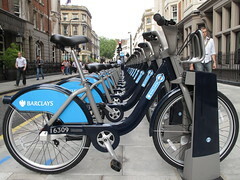 I was glad to see these now available to tourists and casual users as of Dec 2010, I’m looking forward to trying the barclays bikes when I visit london in April on hoiday. Sounds like a great way to get around to the parts of the city I might like to see. Interestingly, only 10 bikes have been stolen since the launch of the scheme and around 3600 had to be repaired.